Nurse Practitioner Peggy Akers has been a Portland Community Free Clinic volunteer for many years. We’re very proud of her and know how much she gives to our patients and community. Therefore, all of us are tremendously pleased that her service over the course of her 50+ year career is being recognized with the American Association of Nurse Practitioners 2018 State Award for Excellence for Maine. The award was announced last month and will be presented at the national conference in Denver in June. Peggy is a tireless champion for peace and justice whose career has been shaped by giving back. From 1969 to 1972 she served in the US Army as a nurse, achieving the rank of captain. She was based at Fitzsimons Army Hospital, Aurora, Colo.; 67th Evacuation Hospital, Qui Nhon, Vietnam; 91st Evacuation Hospital, Chu Lai, Vietnam; and Madigan General Hospital, Fort Lewis, Tacoma, Wash. She received a Bronze Star for her service. Unlike many nurses who left the profession after serving in Vietnam, Peggy has worked continuously for more than 50 years in a wide variety of settings, including Healthcare for the Homeless, the Preble Street Teen Center, and St. Mary’s Health System’s B Street Community Center in Lewiston. In the summer, she volunteers at the Seeds of Peace Camp in Otisfield. At the Free Clinic, we count our blessings everyday that she is able to volunteer and share her expertise, her compassion, and her kindness with our patients. Peggy was recently profiled in the Forecaster in honor of her award; click here to read the article. She was also profiled by Warriors for Peace in a 42 minute video which is definitely worth watching. Set aside the time to do so and make sure to have some tissues handy for the poem at the end! 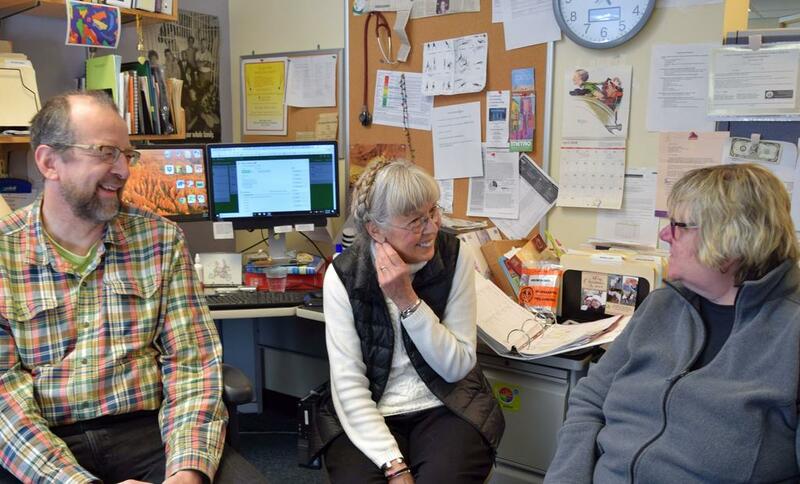 All of us at the Portland Community Free Clinic extend our heartiest congratulations to our volunteer, Peggy Akers CNP, for this outstanding award that recognizes all she has done over the course of her career. Volunteers like Peggy make the PCFC a very special place and an important part of healthcare delivery in Greater Portland, Maine. Please consider at $25.00 donation to the PCFC to honor Peggy and support the ongoing mission of the clinic as part of our 25th Anniversary Celebration. You may donate online securely by clicking anywhere in this paragraph.